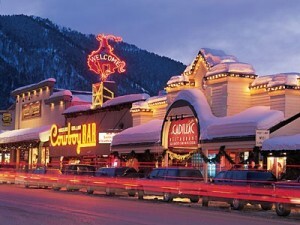 During the winter, Jackson Hole is a wonderland of snow skiing, snowmobiling and ice-skating. Summer in Jackson Hole is all about hiking, whitewater rafting, golfing and horseback riding. When you come down off the slopes, you can choose from recreation options like dog sled tours, sleigh rides and wildlife and nature tours. During the summer, you better get your enery level up because kayaking, hang gliding, hot air ballooning, mountain biking and stagecoach rides are just a few of the many options available. For climbers, hikers and nature lovers, the nearby Grand Teton National Park is an absolute nirvana. The towering mountains of the Teton Range stretch 40 miles, and include eight mountains over 12,000 feet. Keep in mind, too, that Yellowstone National Park’s South Entrance is only 90 minutes away, and another 45 minutes or so to reach Old Faithful. If you’re looking for serious, fast-paced family fin in Jackson Hole, try the Alpine Slide, where you slide down 2,500 feet of Snow King Mountain in a bobsled. For a calmer experience, enjoy the Bridger Gondola, which takes tram riders form the Teton Village to heights of 10,000 feet. Golf enthusiasts have access to some great golf with tee opportunities at Jackson Hole Golf & Tennis Club, a Robert Trent Jones, Jr. design and Teton Pines Resort Golf Course, designed by Arnold Palmer.